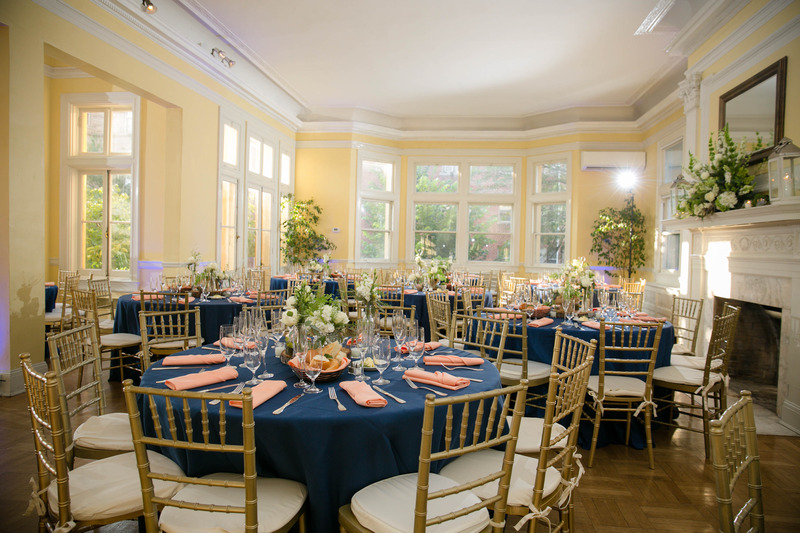 Catering by Seasons had the honor of being a part of Lauren and Josh’s romantic wedding celebration at Josephine Butler Parks Center in Washington, D.C.
We loved working with Josh and Lauren – they are so friendly and easy-going and their special day truly reflected their love and happiness. 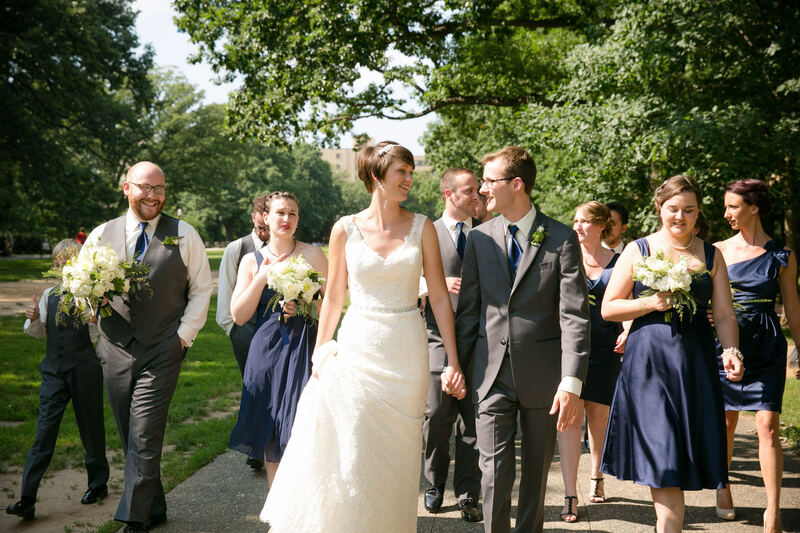 They got married on a beautiful warm summer day surrounded by friends and family. 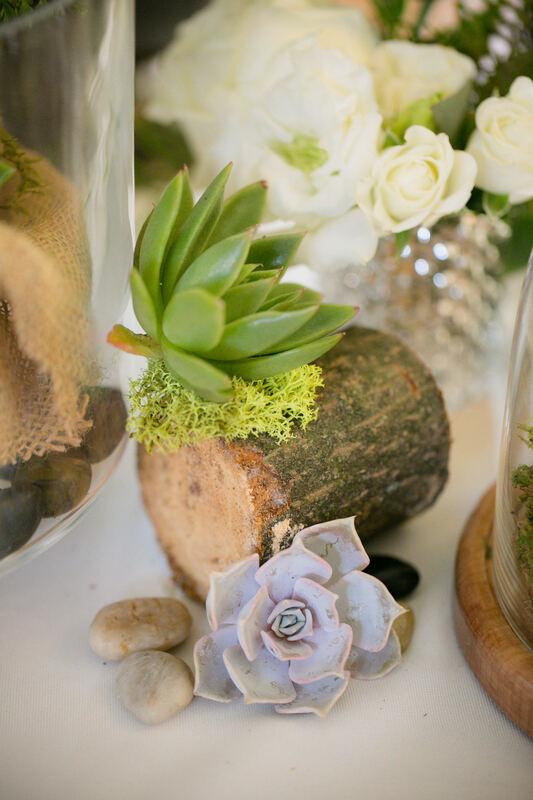 All of the little details in this wedding pulled everything together bringing elegance, romance and natural charm to the historic Josephine Butler Mansion. 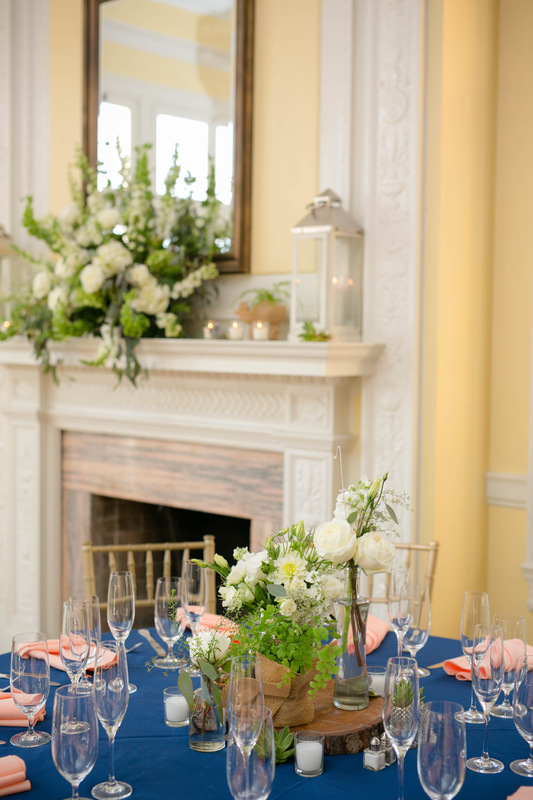 Guests enjoyed the perfect tastes of summer with passed hors d’oeuvre like Margarita Shrimp marinated in tequila-lime, Tomato Basil Bruschetta, Golden Tomato Gazpacho, and Brie and Apple Puff Pastries. 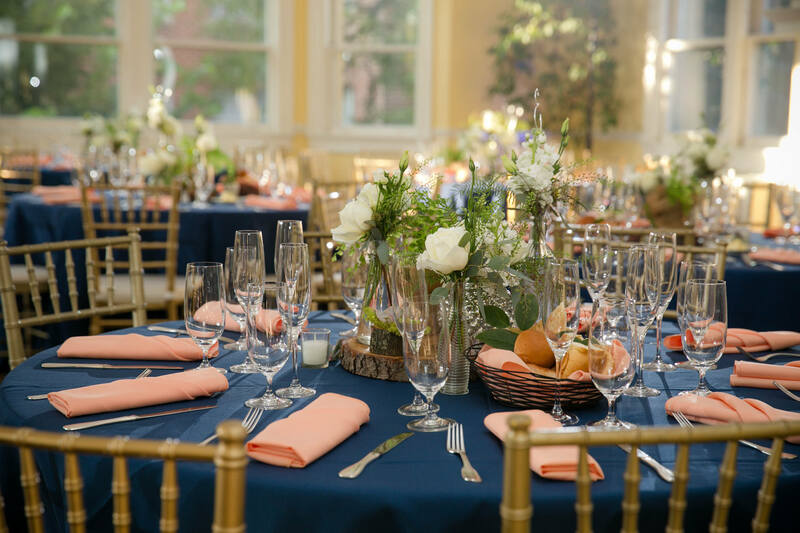 Tables set with blue and coral linens worked perfectly with the succulent centerpieces and golden accents. Guests enjoyed a bountiful buffet with a colorful Tomato Salad drizzled with balsamic reduction and an array of meats and seafoods. The tender Chicken Roulades rolled with spinach, peppers and fresh mozzarella was a hit among the guests, along with the Lemon Pepper Seared Tuna atop a bed of black rice. 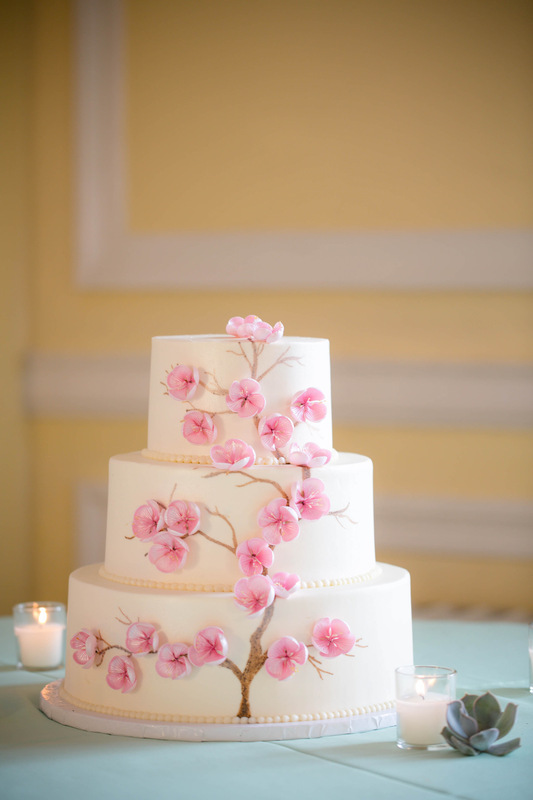 A beautiful cherry blossom wedding cake was a true ode to Washington, D.C., paired alongside loads of cookies baked by various family and friends – a family tradition. 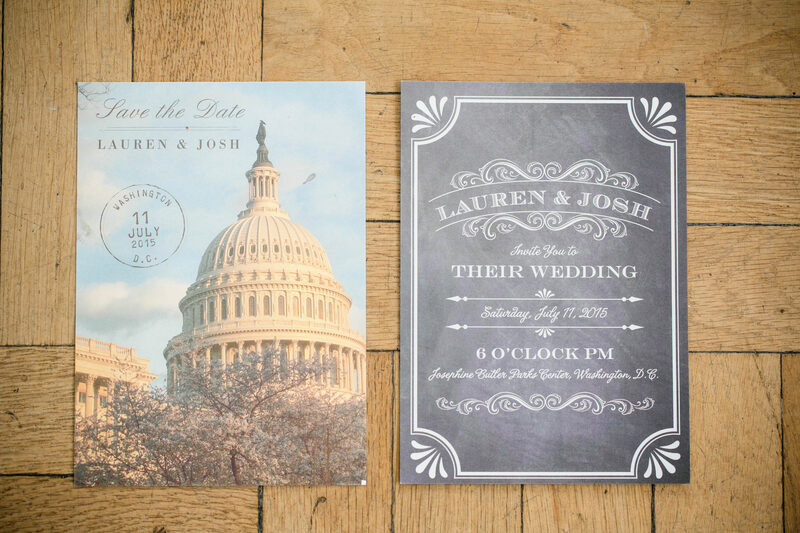 Lauren and Josh, we wish you a lifetime of happiness. 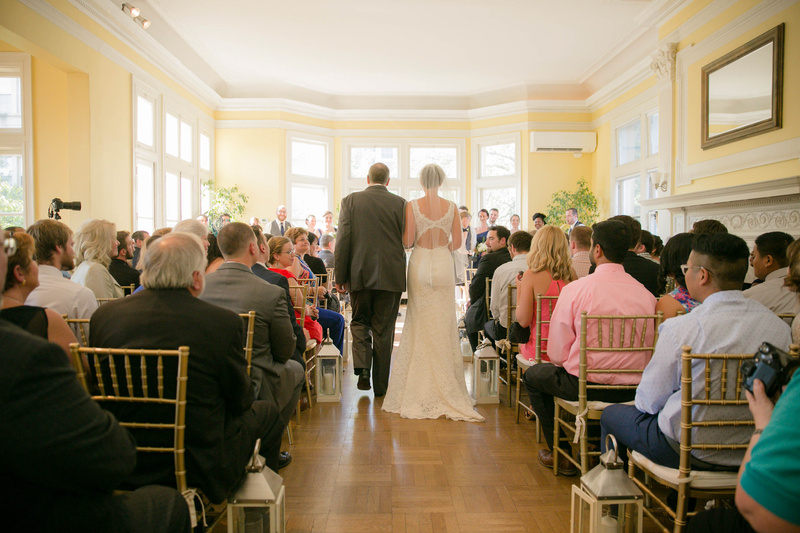 It was a pleasure to be a part of your amazing celebration. 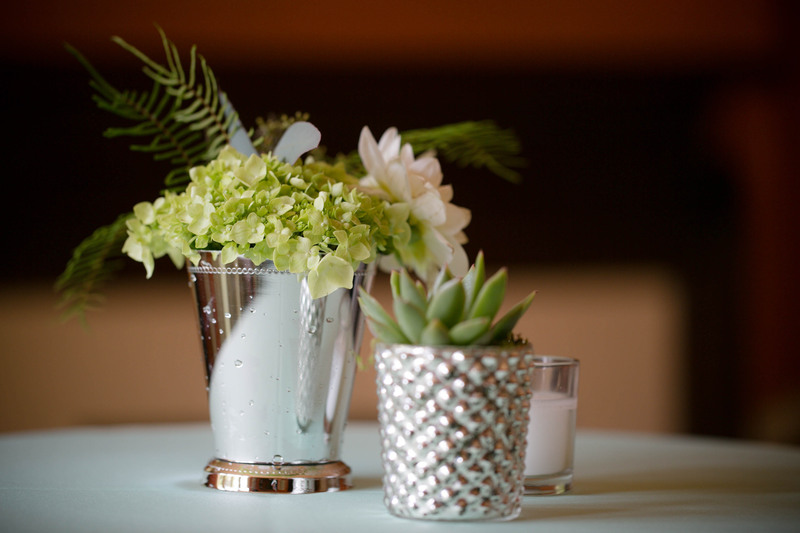 All photography is courtesy of Susie and Becky Photography. 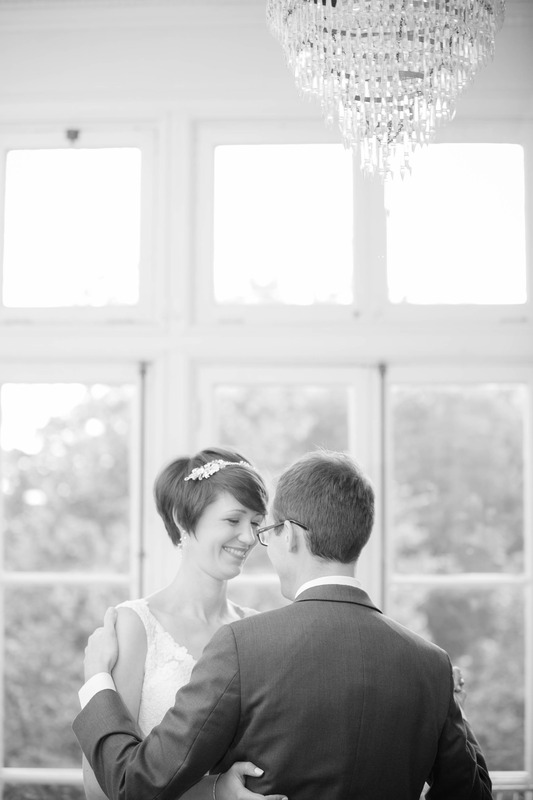 Thank you so much for sharing these fantastic shots with your partner wedding vendors.